Any website serving as a portal for business transactions, whether eCommerce or consulting, runs on collective power. Brand names and logos won’t solely increase conversion rates, just as having a blog, contact page, and FAQ won’t guarantee a boost in time-on-site. When our goals and sales are stagnant, we often scramble to find solutions. But where do we look? At the very minimum, we should have an analytics/tracking program running (such as Google Analytics). This allows us to track key performance indicators, target the pages that visitors often leave, measure the effectiveness of content marketing campaigns, and so much more. However, this data is rather futile without optimization testing. Conversion rate optimization sounds like a fancy (and costly) technical term, but this is not the case. Conversion rate optimization (or CRO) involves using our current set of data to create hypotheses for us to test what are sometimes minuscule changes. Businesses often overlook immense ROI potential from these changes, such as altering a few words in a call-to-action, condensing checkout processes, or using tactical psychology for price points. Similar to the common scientific model, this testing process is very straightforward. By creating experiments with a control and experimental version, we can easily determine what increases conversion rates. We’ll break down popular CRO tactics and case studies to show you just how easy it is to implement these tests and start increasing your sales. For any manifestation of a store, prices are the most decisive factor along the path to conversion. Online, pricing is even more difficult to influence because of accessibility. An educated or informational shopper can, essentially, always find the cheapest price. However, it’s part of our job to make sure it’s our site they convert on. A popular tactic is to test a variety of price anchors. Package A is the anchor price. We immediately focus on that package because it’s the first in the list. Every subsequent package becomes more and more reasonable to us because we still have the thought of a $259/month package in our head. This makes Package D seem the most reasonable. It’s a bit of an illusion. Even though a few customers may opt for Package A, the majority of our business revolves around Package D customers. The anchor price can deviate with positioning. Also, depending on the service or software being offered, plans can be customized to influence higher targets – or to even make the anchor the target. Even though the Pro plan is first in line, our eyes immediately go to the anchor (the Plus plan). This plays with our attention because the anchor is already cheaper compared to the Pro plan, and makes Plus seem like a more reasonable decision for us. But the icing on the cake is that every plan comes with a free trial. We can try out Plus or even Pro if we want to. “Freemium” models allow us to influence purchases with trials (during which dependency, appreciation, and routine is developed) – as opposed to buying a more tangible product like a jacket. We can try on a jacket in a store, but we can only base our decisions off of price, pictures, and reviews or recommendations if we buy online. Depending on our products and services, we must create a control version and an experimental version based on the hypotheses that price anchoring will increase conversion rates. If the new version increases our conversions, we go with it and start running another test. As long as we have a website, we should always have a test running. If not, we’re missing out on opportunities to increase our sales. Another extremely important factor along the path to conversion is web copy; specifically, call-to-action copy. This involves the verbs, style, and design used to influence clicks. By adding one simply word, the conversion rate saw a 20% increase. The reasoning suggests that shoppers often forget that $5 is a small amount, so they subconsciously think of “fee” as a purely negative word. With “small” added, customers differentiate a painful fee from a light or even harmless fee. Just like with prices, we need to constantly test and experiment with our vital copy. Kyle Rush, the former deputy director of frontend web development at Obama for America 2012, described how his team ran 500 experiments, weeks of user-testing, and created over 668 million Google Analytics events. They constantly tested every element of the fundraising donation page, fighting to increase conversions in every shape and form, even celebrating 5% increases on pages that had already been optimized. Kyle notes his team used Optimizely for over 240 A/B tests, resulting in a collective 49% conversion rate increase. The difference between a product or landing page rendering in one second versus three seconds is often the make or break point for a sale. It’s astonishing to think about, but online shoppers will leave websites that have slow loading times. There is a web standard where pages should load in no more than three seconds. The faster the better, even if it’s cutting load times from 1.9 seconds to 1.7 seconds. There are dozens of ways to make our sites faster, but the most popular involve content delivery networks and caching. A whopping 75% of all eCommerce websites do not use a content delivery network. When a server is located far away (let’s say the distance between NJ and CA), the seconds pile up. A CDN allows websites to serve up pages from closer servers, thus cutting down load times significantly. The metrics that matter to your business are not cut and dry; rather, they are discovered in experiments, testing, and data. Increasing sales is our primary goal, which has supporting metrics such as leads, time on site, highest converting pages, most purchased products, LTV per gender, etc. 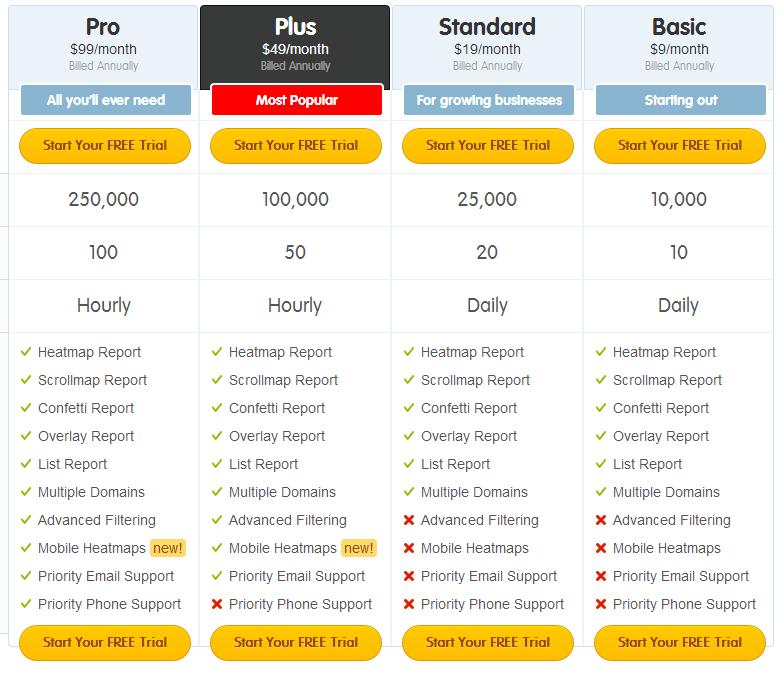 We uncover these metrics by testing. We increase these metrics by sweating the small stuff. As we’ve seen in the fundraising campaign example, we can always do more. 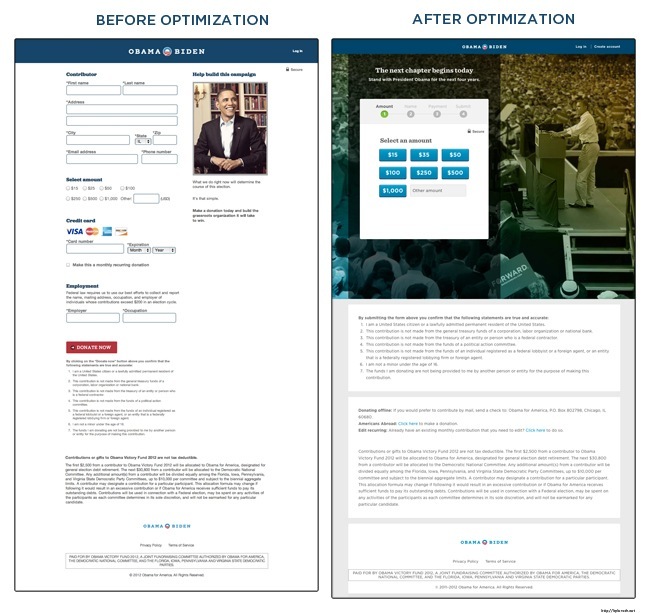 An optimized page can always be optimized even further.